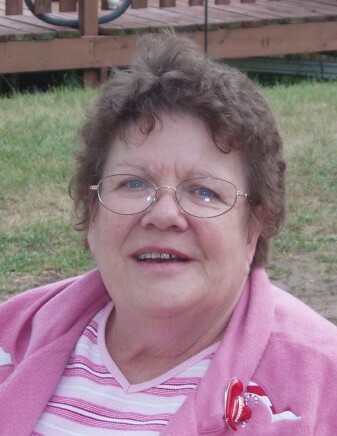 Jane Louise Kipp, 78, Wausaukee, passed away on Sunday, March 17, 2019. She was born on August 22, 1940, in Akron, Ohio to the late Paul and Dorothy (Weimer) Burkhammer. On September 1, 1972, she married Niles David Kipp. Jane was a member of the Red Hat Ladies Society and the Wausaukee Singers. Her favorite game to play was Scrabble, but also enjoyed Yahtzee. She was an avid book reader and loved to sing and laugh with her family. Mom and Dad loved to play Pinochle, Cribbage and Euchre! Jane was lovingly known as “Nana” to her grandkids and great-grandkids and teasingly called “Wheezie” by so many others. God and family were her life! She was the backbone, the strength, the glue, and the prayer warrior of our entire family. Her laugh was contagious, and her smile would light up the room! She loved gospel music and singing all the old hymns. Mom and Dad had a love that was stronger than any two people we’ve ever known. When they danced together, you could see how in sync they were, especially when they stared into each other’s eyes. She was “Mom” to many – way beyond her family! She was full of love, mercy and compassion. Her children will most remember her singing “Count Your Many Blessings” and pointing to each of them as she sang. Her grandchildren and great-grandchildren will remember “Jesus Loves the Little Children”, substituting their names for children, as well as “The Old Rugged Cross”. Jane is survived by her children, Dotti (Ray) Miller, Sandy (David) Sutphin, Janet (Tom) Miller, Win (Jen) Kipp, Brian Kipp, David Kipp, Pat (Dani) Kipp, Keith (Jann) Kipp, and Jason Kipp (aka Grandson); 19 Grandchildren including Jason (Jen) Kipp, Rebecca (Zeke) Mineau, Samantha (Aaron) Daul, Thomas (Carrie Ann) Sutphin, Katie Olson, Nicole (Mike) Grant, Tom (Lindsey) Miller, Lance Miller, Elijah Miller, Emily Miller, Win Kipp Jr, Will Kipp, Matthew Safin, Michael Kipp, Alex Kipp, Olivia Kipp, Eric Kipp, and Kevin Kipp; eleven beautiful and loved great-grandchildren, Tommy, Holly, Madelynn, Bella, Lillian, Warren, Landen, Oliver, Abigail, Rossi Rose, Tiris; two brothers; “The Favorite Daughter”, Margie (Terry) Popp and the entire Walton family and many other family members and friends. She is preceded in death by her parents; children, John Kipp, Rick Kipp and Gladys Javes; two sisters and three brothers. Visitation will be held on Thursday, March 21, 2019 at Lyndahl Funeral Home, 1350 Lombardi Avenue, from 4:00 p.m. until 6:00 p.m. Visitation will continue Friday, March 22, 2019 at CrossPoint Church, 1880 Southbridge Road, De Pere, from 10:00 a.m. until the funeral service at 11:00 a.m. with Pastor Jerry Lewin officiating. Expressions of sympathy, memories, and photos may be shared with Jane’s family on her tribute page at www.lyndahl.com. In lieu of flowers, a memorial fund has been established in Jane’s name. The family will donate the funds to St. Judes Childrens Hospital. The family would like to thank Dr. Khayat and all of the ICU staff at Bay Area Medical Center in Marinette, and Dr. Bhadriraju and the ICU staff at Aurora Baycare Hospital. We will love you always and forever; “As Big As The Sky”!